Hello! 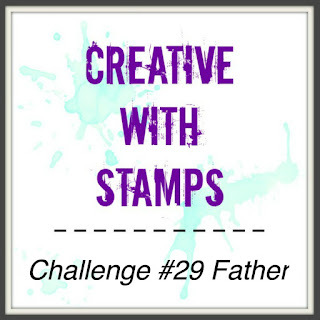 I'm so glad you stopped by to see my Design Team Creation for Creative With Stamps Challenge Blog #29 - Father! I made a center step card! It was perfect for the tool chest theme I wanted to do. The bottom "drawer" is actually a pouch to put money in. The tools are a die set I got at a stamp show a few years ago from Our Daily Bread Designs. I hope you link up your "Father" project at Creative With Stamps-we'd love to see your work! 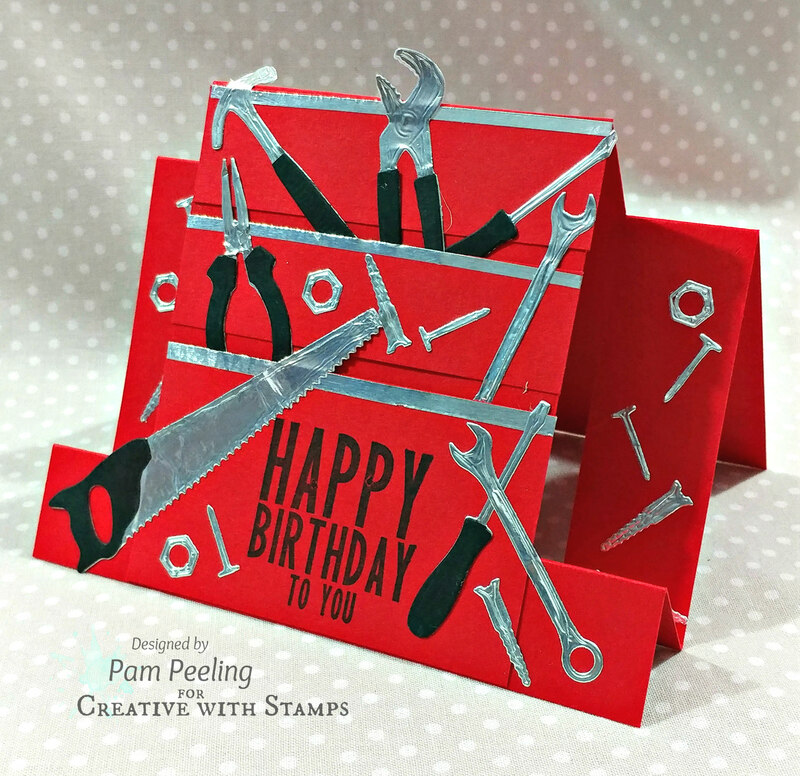 The center step design is so perfect for your card, Pam. I love all of that red, black and silver - a perfect "father" card.